Ready to crush some gravel? With its lightweight, endurance oriented composite frame, generous tire clearance and smooth ride quality, the all new Revolt Advanced lets you ride farther and faster on rough roads, gravel or dirt. Advanced composite frame provides all-round versatility with a fast, smooth ride on variable surfaces. Composite fork helps dampen road and trail vibrations. Versatile gravel geometry supplies precise handling, agility and control in all situations. 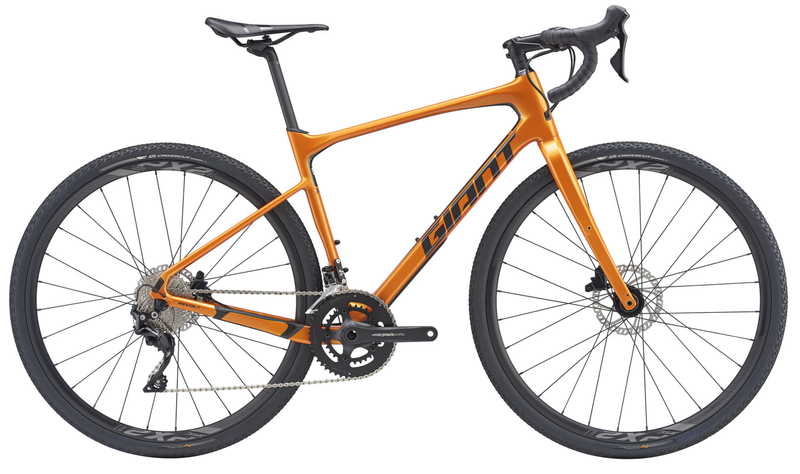 Giant hydraulic disc brakes stop on a dime in all conditions.